Description: Close-up. The action takes place in the kitchen before the breakfast. Human pours milk to the muesli into the white bowl. 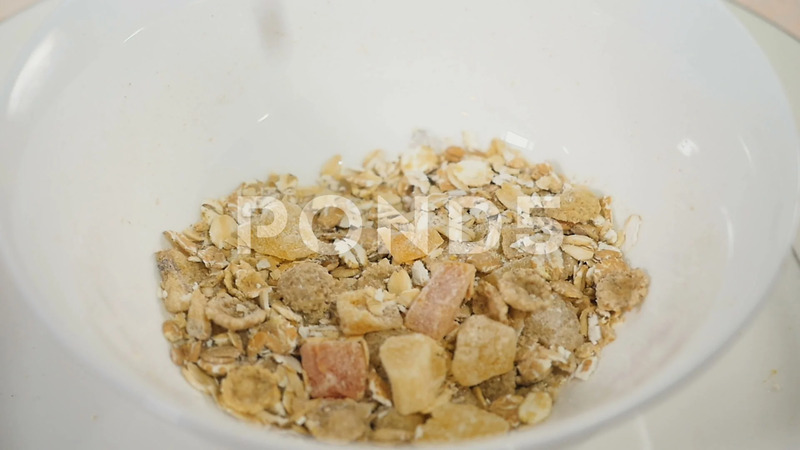 The delicious healthy breakfast consists of the cereals, wheat, candied fruits and flakes.